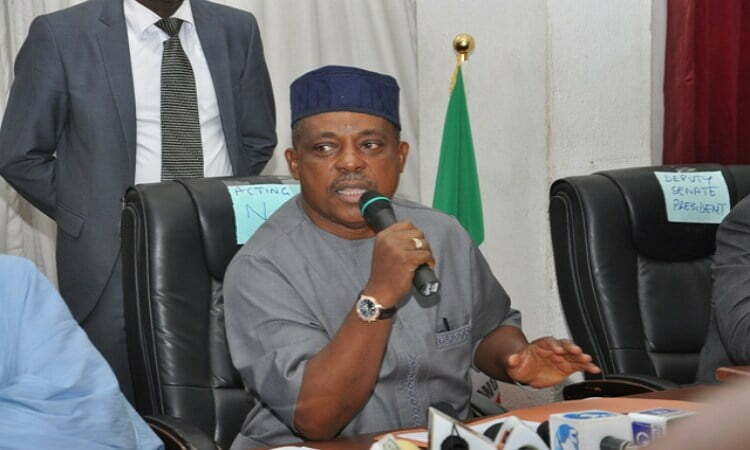 The National Chairman of the Peoples Democratic Party, PDP, Prince Uche Secondus has warned members of the All Progressive Congress, APC, against hate speeches that promote disunity in Nigeria. In a statement issued on Sunday to mark the armed forces Remembrance Day, Secondus applauded the armed forces for containing Boko Haram insurgents, while charging them to remain focused to the cause of a united Nigeria. He further appealed to Nigerians to appreciate and support the fallen heroes for their sacrifices to the peace of the nation. He said “Nigeria is standing as one country today due largely to the contributions of the armed forces to keep it United, the gallantry of Nigeria troops in containing the Boko haram insurgency and the supreme sacrifice paid by federal troops. “You must remain committed to your profession and to the development of the country’s armed forces in particular and the country in general. “Nigerians especially political leaders should appreciate the huge contributions of our soldiers especially those who paid the supreme sacrifice by being more patriotic and accommodating. “APC led federal government should also eschew hate and bigotry in their utterances.